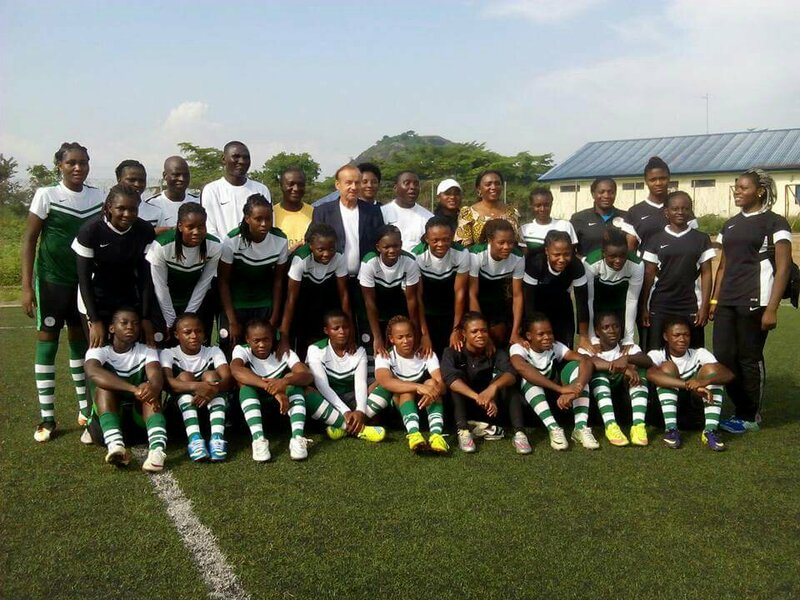 Newly appointed Coach of the Nigeria national Under-20 Women Team, Christopher Danjuma has invited 30 players to report at the Serob Legacy Hotel in Abuja on Wednesday, August 23 ahead of the FIFA Under-20 World Cup qualifier against Tanzania. The list of invitees include the 2016/2017 Nigeria Women Premier League top scorer, Charity Reuben and four other players – Joy Bokiri, Oluwakemi Famuditi, Glory Obonna, Lilian Tule – who were part of the Papua New Guinea 2016 Under-20 World Cup team that exited the group stage due to inferior goal difference, despite garnering six points. FC Robo Queens skipper, Rasheedat Ajibade and Rivers Angels forward, Cynthia Aku also made the cut. Nigeria Football Federation Head of Communications, Demola Olajire said on Tuesday that invited players are expected to report to camp with their training kits, original birth certificate, and international passports. Falconets will take on Tanzania Under-20 women team on Saturday, September 16 in Nigeria, in the first found, first leg fixture, before jetting to the the East African nation on Saturday, September 30 for a return leg in Dar es Salaam.